In the modern age where love is shrouded by smoke, mirrors, and dating apps, the expression of love and admiration has adapted to fit contemporary needs. Gone are the days of passing notes across classrooms or sending letters to our crushes. Text messages are frequently sent after having consulted a barrage of friends, working together to compose texts that seem eloquent and revealing but not too revealing. However, the use of music has remained a consistent way to show affection and romance. Sending a playlist has become a sixth love language. Streaming sites like Spotify and Apple Music make the creation of playlists incredibly easy. There is no longer a need to buy physical cassettes or CDs and spend hours manipulating them to create the perfect mixtape. One might assume that the digitization of these amoureuse playlists reduces their value and intimacy. However, digital playlists allow for music to be added quickly, often in a moment of spontaneity, which allows for greater honesty and spur-of-the-moment intimacy. The playlists can also be shared via text. Despite the ease at which these new playlists can be created, they still contain poignant and important meanings. This month, I reached out to friends and acquaintances to get a more detailed picture of the role of music in modern relationships. 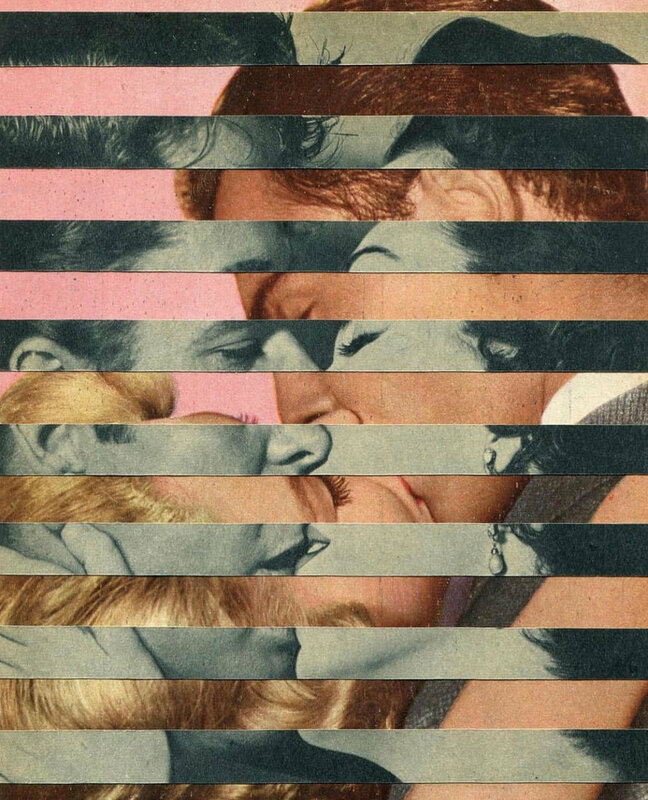 Read on to hear about their playlists and decipher what they reveal about each relationship. Charlie and Sarah are two NYC-based students who recently celebrated their six month anniversary. Charlie: We found each other’s playlists about each other before we officially started dating. I found hers for me because she was listening to it and it showed up on my Spotify feed. Charlie: I care about the order, but Sarah doesn’t feel like feelings have an arc, a sequence of different experiences. Sometimes I also think about making chronological playlists, songs that reminded me of different aspects of our relationships at different times. Sarah: I just do it when stuff comes up, so in that sense, they are chronological. Charlie: I feel like they’re all starting to become a similar style of music now. At first, it was a bunch of different genres; it didn’t really make sense, but now they flow better. Sarah: You know when emo bands make that one acoustic love song? That’s our style. Charlie: We each have a couple of playlists that we’ve made for each other and we also have collaborative playlists that we’ve made for different things. We had a sad long-distance playlist. Sarah: Yea, over the summer when we were apart we listened to Rihanna’s “Close to You” and “Winter 05” by Ra Ra Ra a lot. Sarah: But it’s always a song that is, like, this is a song that reminds me of you and our relationship, rather than picking a song that I think he would like. Sarah: When I first listen to it, I listen to it all the way through. But when I get into certain moods where I just don’t really want to listen to Kesha, I’ll skip those songs. But he really likes Kesha. Charlie: Yea, I love Kesha. Sarah: When I come across a really poignant song, I’ll send it to him and aggressively make him listen to it because I think it’s relevant. Charlie: Sometimes I also just check her playlists from time to time. Sarah: It’s sweet when we receive them from each other. Charlie: It’s like an event. I feel a lot when I listen to a song. One time she sent me Kali Uchis’ “Melting.” I just had it on for like an hour and cried because the lyrics are so sweet. Lauren and Cole are childhood best friends and college students who have been romantically involved for six months. Lauren: I made playlists for him at every single step: a friendship one, a crush one, I made a starting out one, I made an I’m mad at you one, an I’m sad at you one, an It’s over, time to get over you one, and a we’re happy again one. If I’m mad at him, I won’t tell him about them because they’re more for myself. But he knows about certain playlists. The day that we started talking about our romantic feelings, I started making one and I just showed it to him like this weekend. It was like a present. Lauren: I would go on an MP3 converter and turn YouTube videos into MP3s, burn the MP3s onto my iTunes library, and then burn the playlist onto a blank CD. I would decorate the little holder that they came in and when I gifted them, I would write in a card why those songs made me think of them. Lauren: He doesn’t place value on the lyrics of a song. He focuses on the beats in music, so I feel like he doesn’t really appreciate it when I say, “Oh this song makes me think about you.” So he doesn’t really make playlists for me but we have collaborative ones. He’s made me some that are songs he likes and wants to share but aren’t necessarily romantic. I like listening to music that’s more acoustic and has good lyrics. When I tell someone I want them to listen to a song, it’s because I’m trying to communicate something based off of those lyrics. He likes songs that have a lot of production and the lyrics don’t matter. But he also has some music that we both like or even songs that I like that I didn’t even tell him to put on the playlist. I think it’s really sweet. Lauren: There’s this playlist I made for my friend when she was getting over her boyfriend, and the whole playlist goes through the process of a break up— from sad to angry, to sad again, and then acceptance. But usually, there is no order in the ones I make. Lauren: I’ll skip a song because I’ll check the lyrics first and see if I like them, and if I don’t, then I’ll skip it. At their core, music and lyrics are a way to communicate your feelings before you have the maturity or ability to understand them. Lauren: Yes we have! When we went on that trip! Cole: Oh yeah, there was one we collaborated on. Cole: We were going on a drive and we just wanted to pick songs to listen to then. Cole: I try to communicate affection through my actions and words, but not songs. For me, the words don’t really matter that much. Usually, my first impression is of the beats. An artist could be singing, “I really like caesar salads,” and I could be like, “Wow this is a great song.” I mostly just listen to music in the background. I don’t listen to it in a very artful way. I’ll care about rhythm and transitions, and just stuff that makes it sound catchy. When she made the CD playlists I used to listen to them, but now when she sends me songs, I’ll usually listen to them but I usually don’t like them. Lauren thinks they love “Melt with You” by Modern English. Cole doesn’t really associate songs with their relationship, or with Lauren. Ava is an NYU student who just started a new relationship three weeks ago. Ava: Music is absolutely the best window into the soul. We have a collaborative playlist ‘cause we both have the same opinion that music is the best way to convey emotions and feelings. So we keep adding songs that we want the other person to listen to, but also makes the other person think of the other. When someone sends me a playlist, I’ll listen to it all the way through at least once. Ava: I think music is the best way to convey emotions. It’s like saying things you don’t know how to say, but someone else has already said so it’s easy. Music means a lot to me and even sharing that with someone, even if it’s not exactly what they like, is an important move to make. I’m telling them how I feel in those playlists. So there’s some vulnerability there. Ava: I like to order mine based off of the time of the events, so it brings you back to certain moments and memories. I only make them after I’ve started dating someone, and not for just crushes, because it becomes something that I want to share. I also have a playlist about songs that make me think about love, so when I fall in love, I’ll show them that playlist. I also have a wedding playlist. Is that weird? Ava: For my last relationship I made playlists that were a reminder of everything we had done and been through, but he thought I was cheesy so I kept it to myself. It was a cool thing when I received playlists from him because it was nice to know he was thinking of me and it felt like we were on another level in our relationship. But his playlists weren’t like, oh these songs make me think of how much I love you. It was more just about him liking those songs. One of the songs was “Babe, I’m Going to Leave You” by Led Zeppelin which was kind of confusing, but it was still sweet to know that he wanted me to know these songs because they meant something to him. “Calico Skies” by Paul McCartney. Leila is a high school student who has been in a relationship with Carrie for a little over a year. Leila: I made one for her before we even started dating and she made one back. As we talked more to each other we added songs, getting more and more romantic until she asked me out. Leila: I loved listening to mine (even if I didn’t always like or know the songs) because the songs she chose said something about what she thought of me. I try not to skip songs. In some ways listening to the playlist felt more honest and straightforward than talking because expressing feelings can be hard, and we tend to talk around the mushy stuff. The songs are all over the board. We add anything that fits the theme regardless of the genre.